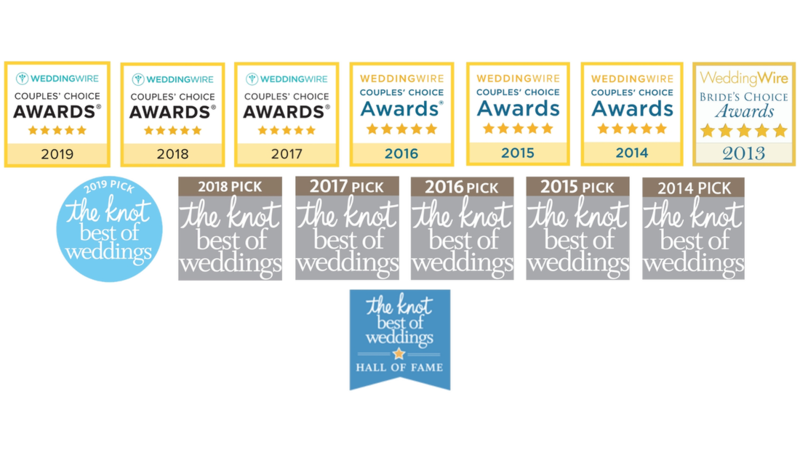 A six-year winner of The Knot’s Best of Weddings and seven-year winner of WeddingWire's Couples’ Choice Awards. Let our LIVE videos show the amount of FUN, ENERGY, and AMAZING time you and your guests will have with our ALL Berklee Alumni Musicianship. This will be at YOUR wedding!!! Cover Story Entertainment Promo 2018 from Cover Story Entertainment on Vimeo. Click below to read our countless 5 star reviews.